This hand tinted postcard from 1911 shows one of the small steamboats of the late era of commercial river travel. Published by James Bruin, Linn Creek, Mo. 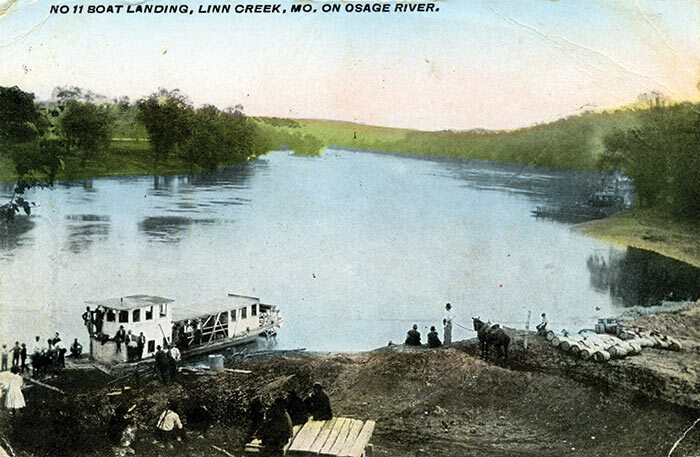 While this is rather late in the history of commercial steamer traffic on the Osage, a boat’s arrival still generated much interest, as evidenced by the many folks along the riverbank and hanging on the boat itself. People seemed to like Old Linn Creek. The town was up the creek, not right on the river, but in easy walking distance. Infrequent floods happened only if the Osage River backed up significantly. 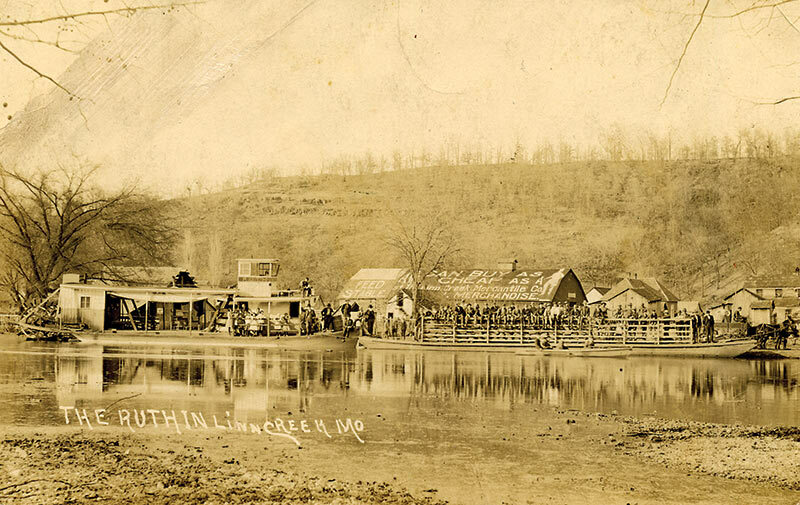 Linn Creek actually had an Upper Town (away from the flood plain) and a Lower Town, around the boat landing on the river in a commercial area. MYSTERY STEAMBOAT PHOTOGRAPH, OSAGE RIVER? This came with the identified Lock & Dam #1 photo. It looks like an excursion boat and is named the S. Katherine. Don’t see any smokestacks but it’s also got staple holes, similar to the Lock & Dam #1 postcard. 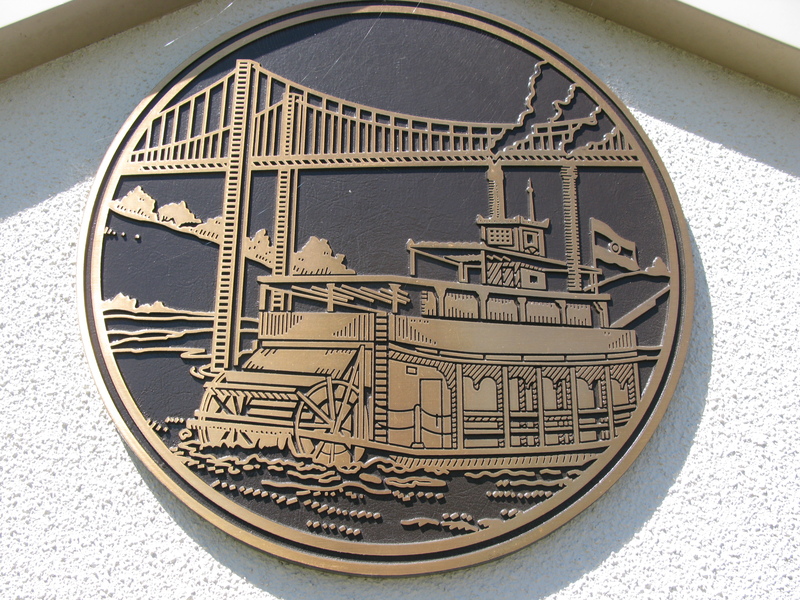 A Google search didn’t find a “Katherine” vessel known to operate on the Osage.